What are Company Values and How do you Create Them? We’ve been spending some time here at The Point Blog highlighting some of our company values. But what exactly do we mean by company values and how do you form them? 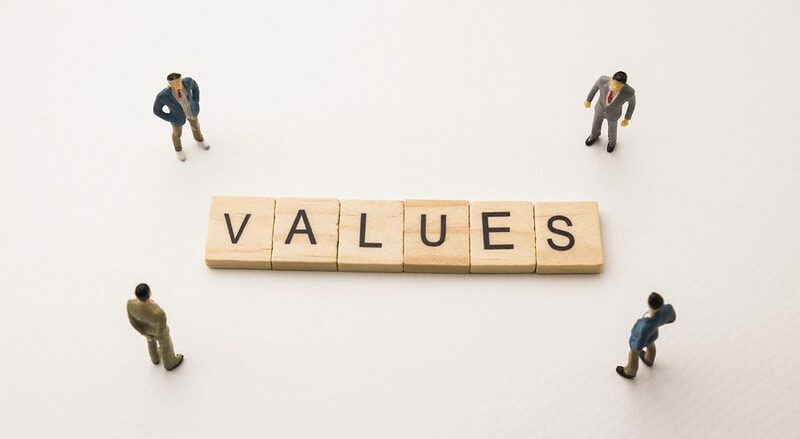 Many people, I believe, misinterpret what organizational values are and should be. This leads leaders to stay away from setting them, limiting their ability to drive organizational competitiveness through a common company language and culture. 1. Not moral in nature. They aren’t right or wrong in a universal sense. 2. They are however, right or wrong for your organization. 3. They should be guiding principles that govern behavior. They should be able to help people discern do this/don’t do this by calibrating against one or more company values. 4. If done right, the values should lead to a competitive advantage for an organization. 1. Case Studies. We start with a case study process. Based on the size of the leadership team charged with coming up with the values, we ask small groups (of no more than four people per group) to create a case study of two great things that have happened in the organization and two total fails. The groups then report out to share their case studies. If you would like a copy of the worksheet we use to get people to develop the case studies, email me. 2. Behavior identification and classification. The case studies are shared by each group and someone from our team listens. On flip charts we begin to map out key behaviors indicated through the case studies. We take the negative case studies and ask them to identify or state the opposite, positive behaviors so that everything is mapped out in a positive framework. Once participants begin to see us doing this, they catch on to the process and begin providing us with words for the behavior map usually without even being prompted. We then take these phrases and words and ask people to identify trends. Many things come together to actually mean basically the same thing, and we combine or strike out words and phrases to generate themes. 3. Value Emergence. What emerges are values that create an environment that allows for certain kinds of behaviors and prohibits others. The themes more often than not distill down to 3-6 value words or statements. We ask participants to take this list back with them and reflect on them. After about a week we regroup and finalize the values. 4. Drive company culture through values. Most often, we then set goals and people-based initiatives off these values, creating a culture driven by values. The goal of this entire process is to identify common ways of working and a common language through values that drives competitive advantage for an organization. The values are already there and/or a sought after state for the organization, we just pull them out and define them so initiatives can be designed around them. We’ll spend some time on the blog over the next few weeks giving examples of how people practices and programs are designed around values. We’ll show how they come to life for an organization.